Haha - yes you would be - they're one of the best selling flies - jelly and icecream to rainbows!! You know its funny, iv got an old mate down here that claimed that fish in Otago wouldn't eat them? I fished a spring creek with him once, where he couldn't get a take. I insisted that he try one of my royal wullf's. First fish he presented to, went exocet out of the water as it took the fly.... his opinion was whole halfheartedly changed! Funny, you tying all these drys Johnno? 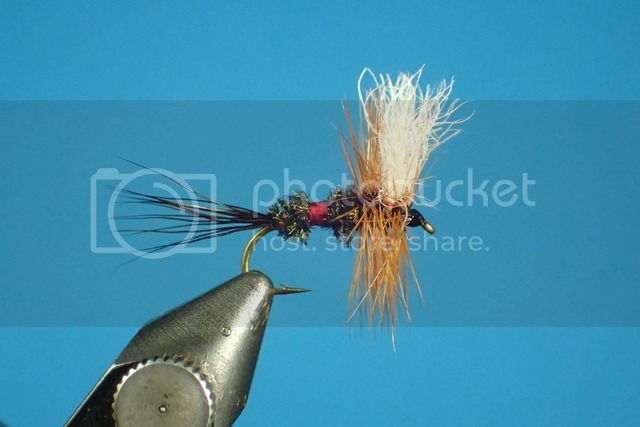 Im going mad tying nymphs in a range of sizes. We have has so little rain this winter, Im prediction crazy rain and massive flooding for spring down here aroudn QT. Excellent fly. I use them all the time. For rainbows in fast flowing rivers, not much better. I'm a lazy tier though - just use white calf for the wing and tail. Use red thread, twist the peacock herl around the thread and wind forward for simplicity and durability. ON THE TUSSOCK LAKES ROYAL WULFF IS REALLY BRILLIANT - MID OCT THROUGH TO XMAS AND AGAIN IN EARLY AUTUMN .LOTS OF FLOATANT - KEEP 'EM HIGH ! 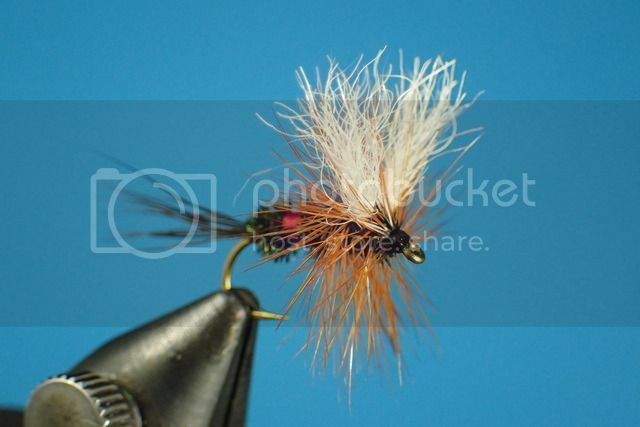 FUNNY HOW DIFFERENT FLIES CAN WORK WELL FOR SOME AND NOT FOR OTHERS . FOR 4yrs I COULDN'T CATCH ON COCH Y BONDHU THEN LAST SEASON CAUGHT SEVERAL WITH IT . I HAVE A MATE WHO FISHES THE SAME WATERS AS ME AND HAS NEVER GOT A FISH ON ADAMS IRRESISTIBLE YET FOR ME - DURING SUMMER - ITS DEADLY . YOUNG FRASER WASH YOUR MOUTH OUT - MENTIONING THE "R..." WORD ON THIS SITE . LAST SEASON WE HAD ENOUGH RAIN FOR 3 SEASONS . FLOODED - GUTTED - CLOSED ROADS AND LAKE LEVELS WAY TOO HIGH . WE'VE ALSO HAD ALL THAT RAIN AND FLOODS THIS JULY ! I had a trip to the upper Mararoa a couple of years ago where I landed a total of 18 fish, 3 rainbows and 15 browns. All but 1 brown on a royal wulff. My go to fly as an indicator although on that trip it was just the dry, no nymph under. Of all the recorded caught trout in my diaries, 6245, the Royal Wuff has account for more than any other fly, 738. Most of these were Rainbows. Very impressive BT stalker... I wish I had the commitment to record my trips... I bought a small hard-backed note book last season to start... recorded through April into May and then nothing for the rest of the season! Do you record a range of info... weather, river condition etc? No I don't record weather nor river conditions. I usually take photos which I can match back to the day and that shows weather and river conditions. I record location, time, fly, fish and size. Every thing is then put into numerous spread sheets.